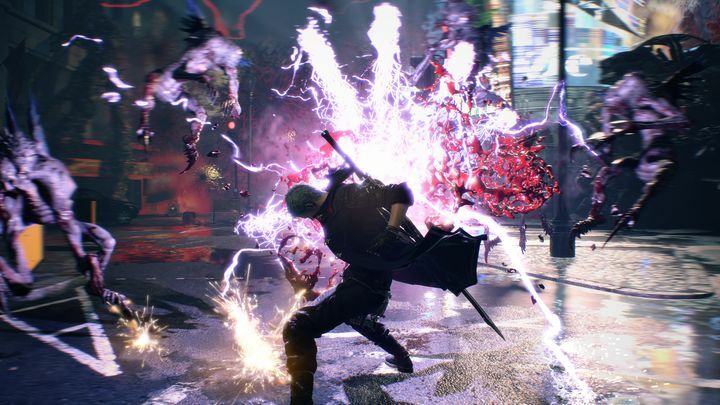 Devil May Cry fans were ecstatic when Capcom announced that a new game in the series was in the works at this year’s E3 show, meaning we would soon have a chance to play another game starring the likes of series’ protagonist Dante, Nero and the rest. And those looking forward to play the game on PC will be happy to know that the PC system requirements have been revealed on Devil May Cry 5’s Steam page. Thankfully, these requirements are within reason, and it doesn’t take a cutting-edge PC in order to be able to play this latest Devil May Cry game, even though the required minimum processor is an Intel Core i7-4770. Actually, this is roughly equivalent to the more recent (and affordable) i5-7400 when it comes to performance, and is outpaced by the Ryzen 5 1600 on the AMD side too. The memory requirement is a standard 8 GB of RAM, while a Nvidia GeForce GTX 760 is needed to get the game running as per the minimum requirements. Those wanting to see the game at its best will be needing a beefier graphics card though (a Nvidia GeForce GTX 960 or better) which is nothing out of this world these days either, while the remainder of the recommended system specs match the minimum requirements, including needed hard drive space for installation which is a reasonable 35 GB. Please bear in mind that Capcom has not yet confirmed these system requirements, so they may very well change before the game’s release next year. Either way, here’s hoping this upcoming Devil May Cry game does offer the same fast-paced action and thrills that made the earlier games so addictive, even if it has stirred a bit of controversy already. This is due to the presence of microtransactions in the game, which as reported on website vg247.com will let players pay to get in-game bonuses which will make it easier to win (and not just cosmetic items as is the norm), something which likely has raised alarms amongst the game’s fan base. Earlier games in the series were controversial in the past too (for different reasons though), but hopefully the planned microtransactions in Devil May Cry 5 won’t impact players enjoyment of the game and this will be another good entry in the series when it debuts this year. Note: Devil May Cry 5 will be released on March 8, 2019. Available on PS4, Xbox One and PC.